If any of the electrical components do not operate, a fuse may have blown. If this happens, check and replace the fuses as necessary. 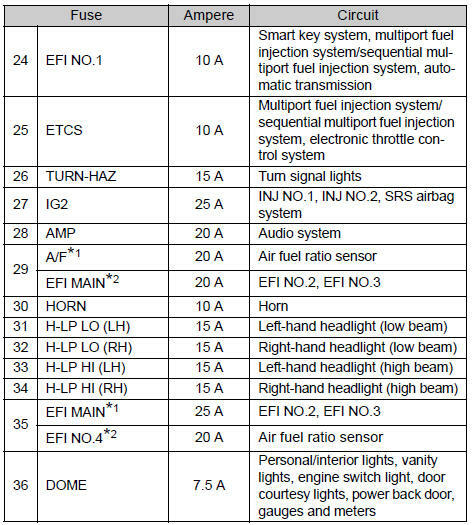 Turn the “ENGINE START STOP” switch off. Turn the engine switch to the “LOCK” position. Push the tab in and lift the lid off. 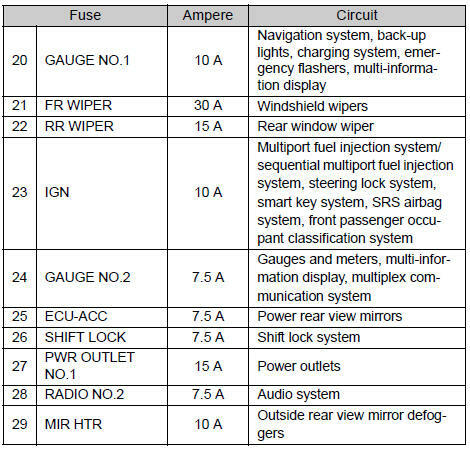 layout and amperage ratings” for details about which fuse to check. 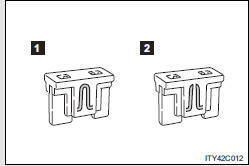 Remove the fuse with the pullout tool. Check if the fuse has blown. Replace it with one of an appropriate amperage rating. 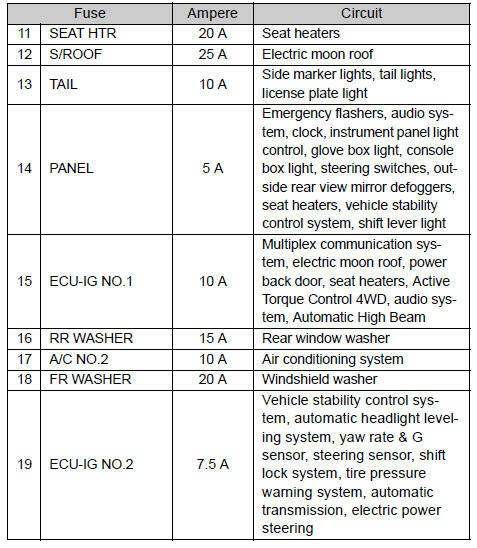 The amperage rating can be found on the fuse box lid. • If the lights do not turn on even after the fuse has been replaced, a bulb may need replacement. 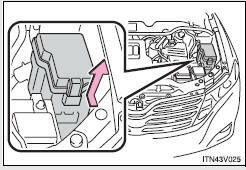 • If the replaced fuse blows again, have the vehicle inspected by your Toyota dealer. 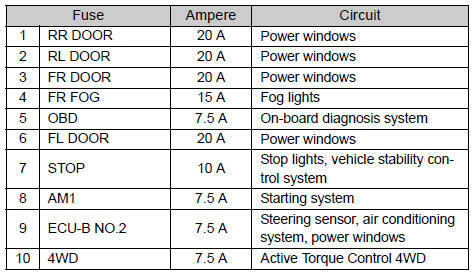 The fuses are designed to blow, protecting the wiring harness from damage. 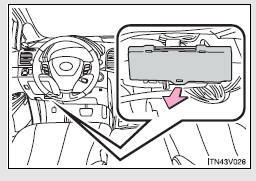 Failing to do so may cause damage to the vehicle, and possibly a fire or injury. • Never use a fuse of a higher amperage rating than indicated, or use any other object in place of a fuse. 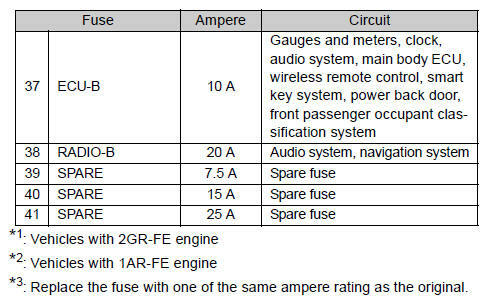 • Always use a genuine Toyota fuse or equivalent. Never replace a fuse with a wire, even as a temporary fix. • Do not modify fuses or the fuse box. 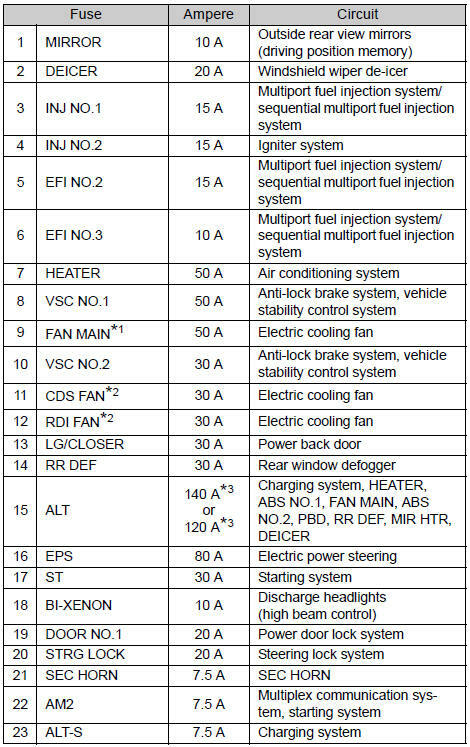 Have the cause of electrical overload determined and repaired by your Toyota dealer.